If there’s one thing I’ve learned as a coach and player in all my years – it’s that you cannot rely on referees. And that is no slight at them, they’re just humans, and they will make mistakes, miss calls, they might even give you a technical or two (although if they do, you probably deserve them). This is something you need to teach to your players, that they need to be ready for the strong possibility of a missed call on offense, defense, and especially rebounding. 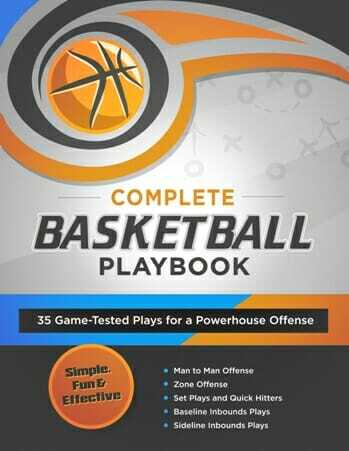 With all those bodies in the paint they can’t tell a push from a pull and the best way to ensure that you end up with that rebound, is to teach your players to rebound strongly. This two-step drill, while simple, is a great way to toughen your kids up a little bit, and will also show you who your best rebounders are. 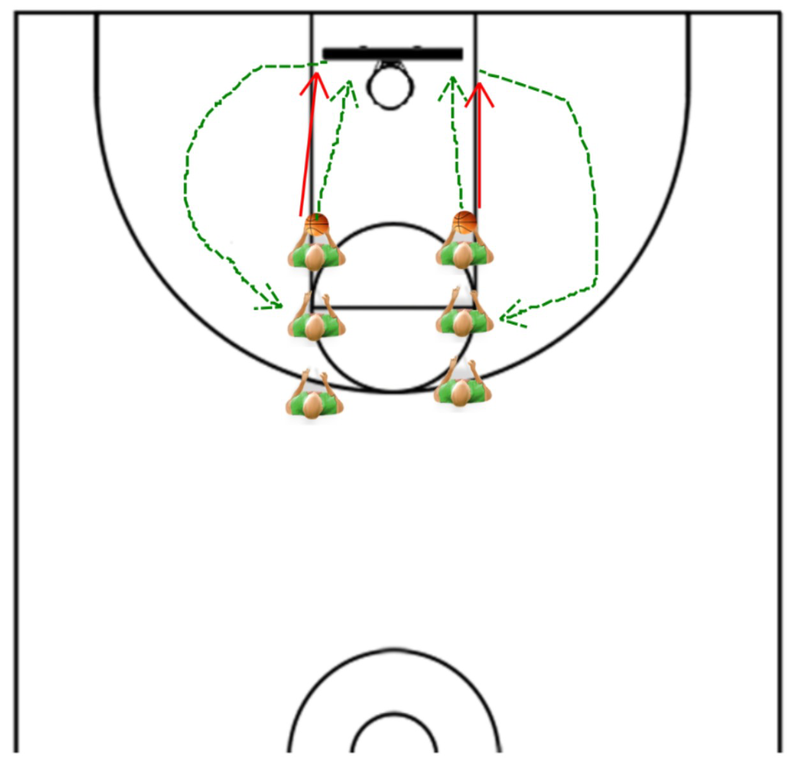 To start, have your players form two lines facing the baseline, each a couple of feet away from the basket. Then, and you can have the lines go two at a time, tell them to throw the ball up high off the backboard, take a step and gather themselves, and jump as high as they can to secure the ball safely with two hands. They should then pass the ball to the next player and go to the back of the line. 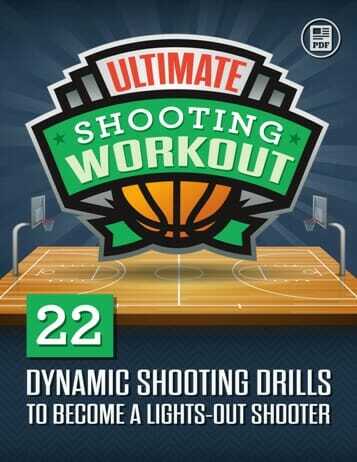 If you’ve got an older group, this is a good time for them to work on tip ins and put back layups as well. Once your players are comfortable with the drill, back the line up a little bit. The player at the front of the line will do the same thing, throw it off the backboard and go get it, but now, the 2nd player in the line is going to go over his back and attempt to steal the rebound from him. While some light contact is okay, to prevent injury make sure to keep it safe. You’ll also want to alternate the lines to give the players some extra space to maneuver. 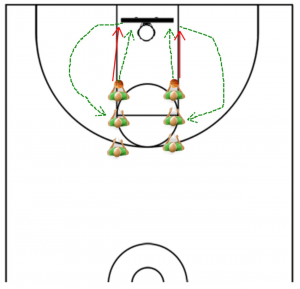 If you’re looking for another drill to help boost your teams rebounding chops, make sure you check out the Animal Drill, a personal favorite of mine. 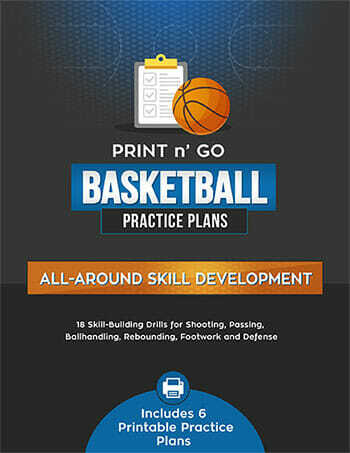 Coach Pat, Great job on creating a simple and fun drill.